The bacterial infection TB is one of the world’s biggest public health crises, and the only disease to have been declared a global emergency by the WHO. There are more than 8 million new cases in the world each year. In India alone, TB kills one person every two minutes and 750 over the course of the day, every day. Sad figures, given that the infection can be fully healed if treated properly. The main challenge with TB is its long treatment duration – it can take six to nine months for the infection to be fully cured. Since patients are often poor, living in slums far away from medical clinics, the long hours of weekly travel for more than half a year to receive medicine, takes the precious time needed to scrape a living. Because of this, patients will often stop the treatment once they start feeling better. This incomplete treatment, however, allows the TB bacteria to become increasingly drug-resistant, making the infection harder to treat in the future. As a result, the world finds itself on the brink of a drug resistant TB epidemic, with the potential to wipe out millions. In addition, stigma, fear of death or discrimination, and loss of livelihood, all lead patients to conceal their disease from others. These “hidden patients” continue to suffer and go on to infect others. 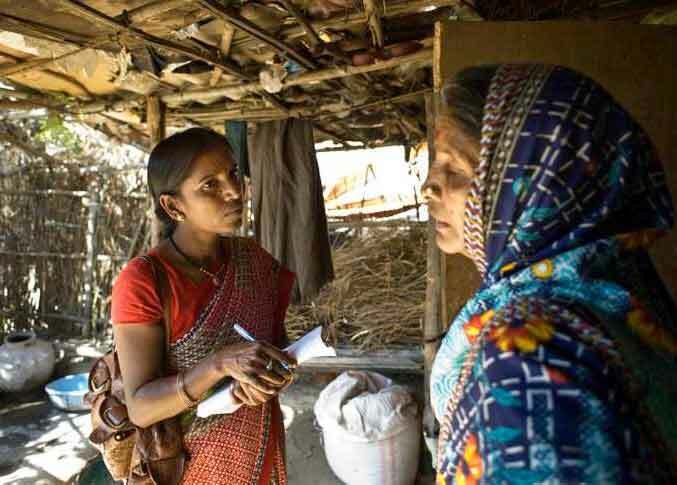 OpASHA addresses both challenges: With the goal of total TB elimination, the organisation brings the treatment to the patients’ own doorstep by installing small clinics, at places such as corner shops or temples, convenient to the poor. In rural Cambodia they even deliver the TB medicine by bikes and boats. To track the treatment process, OpASHA uses a simple computerised device, which captures the patients’ fingerprints, ensuring that the right medicine is provided at the right time. If a patient does not show up for treatment, the device will give notice and OpASHA sends its staff to find him or her. This has resulted in a record number of patients completing their treatments. Another simple application allows an easy screening of “at-risk” individuals and has helped to detect 30% more infected patients in both Cambodia and India. With support of the Marshall Foundation, OpASHA was able to expand its treatment into two additional states in India (Jaipur and Maharashtra), reaching out to an additional 2,081 patients. Overall, OpASHA is treating TB in 9 states across India. This successful low-cost treatment model has now been rolled out across India’s borders, and the Marshall Foundation has been a major contributor to OpASHA’s expansion into Cambodia. Starting in 2012, our funds helped to establish 25 new TB treatment centres in the capital Phnom Penh and Takeo province, allowing 3,000 patients to receive the necessary medical attention. Our funds have also helped to create jobs for the disadvantaged in Cambodia and India, as Operation ASHA employs people from the local community as TB workers. Additionally, third party organisations have replicated OpASHA’s treatment model, contributing towards the shared goal of a total eradication of the disease across the world. In 2012 OpASHA collaborated with Columbia University and Millennium Villages, who replicated both the technology and the model, adopting its best practices in Uganda with “staggering success” (Dr. Yanis, Huffington Post). The same group is now replicating the model in a third country, Kenya. The government of Bhutan, together with an American NGO, wants to use Operation ASHA’s mobile app and technology to serve TB patients across the entire country. “TB is the biggest health crisis in the world today, and visionaries like James Marshall – who have the drive, enthusiasm and dynamism to identify low cost, high impact, scalable and replicable solutions such as Operation ASHA – are willingly standing in the front lines in the fight against this calamitous and deadly disease.” Dr. Shelly Batra, one of the founders of OpASHA.